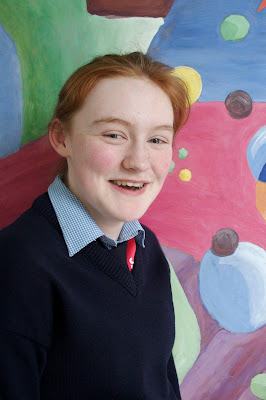 Eimear McMahon, 1st year Rang Therese, displayed her very considerable artistic talents when she won 1st Prize in Category C (12-13) in the 58th annual Texaco Children's Art Competition. 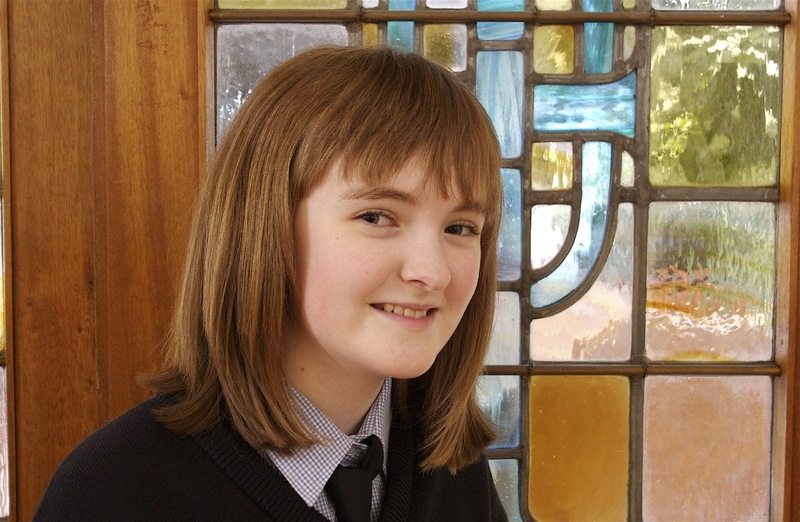 Congratulations to Eimear on such a great achievement... even more so when you think of the many students nationwide who entered! 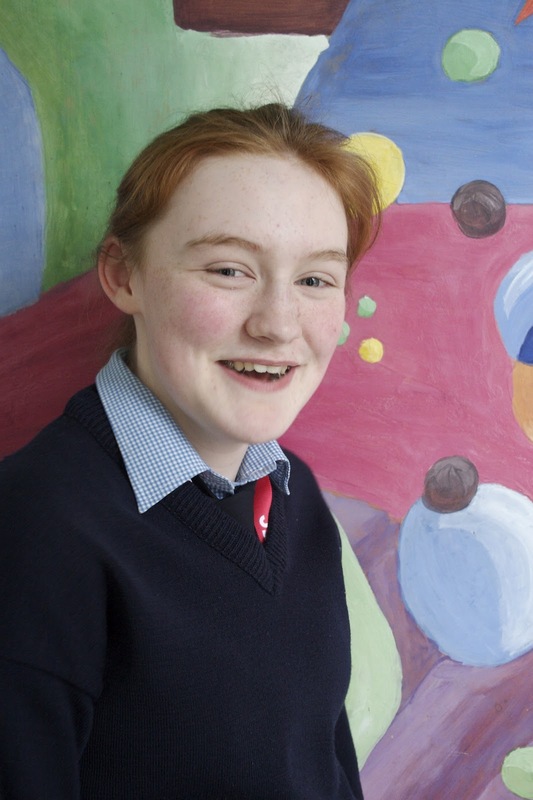 Eimear's entry was entitled "My Best Friend" and was a portrait of her friend Aisling Kane.....the portrait was made out of wallpaper! Eimear's teacher, Ms. McConnon supplied the wallpaper!! !...........as well as the support and the encouragement!!!! 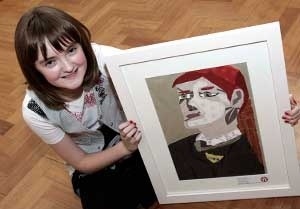 Aisling Kane...the new Mona Lisa! Great work by the Art Dept!!! More photos from Musathon 2012! !